Contrary to popular belief, Epcot is one of the best parks in the Walt Disney World Resort for finding characters. So many people think Epcot is too “grown up” for smaller children and opt to skip this park altogether. Boy are they wrong. 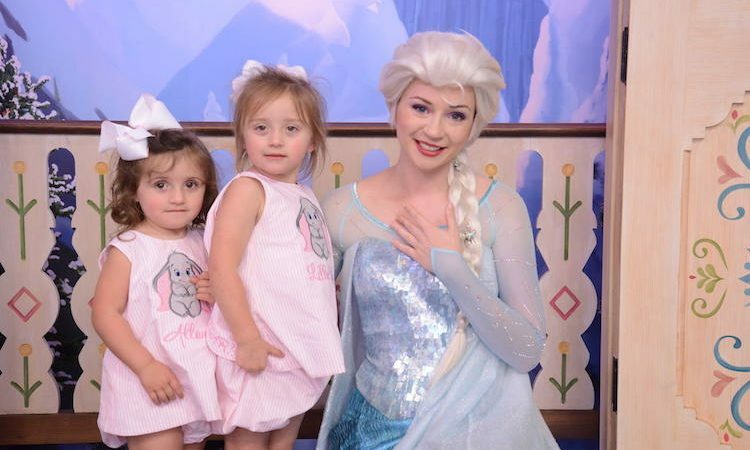 You wouldn’t believe just how many princesses you can meet there. Use our Ultimate Guide to Finding Characters in Epcot and spend the day enjoying all that this amazing park has to offer. 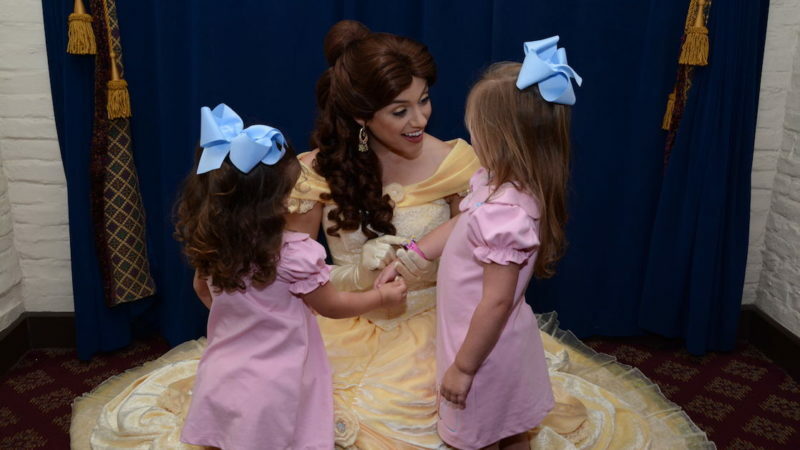 Meeting Belle at Akershus Royal Banquet Hall in Epcot’s Norway Pavilion. Photo Credit: Lillie Eubanks. Epcot is separated into two main sections – Future World and the World Showcase. Future World, which typically opens at 9:00 a.m., is where you will find most of the rides along with a few characters. The World Showcase, which usually opens at 11:00 a.m., is where you will find eleven (11) different countries and so many different characters. TravelingMom Tip: The easiest way to locate characters while you are in the park is to use the My Disney Experience app on your phone. There is a map that will take you directly to their location. Make sure to check the Times Guide as you enter the park for specific times when the characters will be available throughout the day. Future World is separated into two sections – Future World East and Future World West. There are three main locations to find characters in Future World. Legacy Plaza West, Future World Headquarters, and the Epcot Character Spot. Legacy Plaza West, located near Spaceship Earth, is where you can find Pluto. 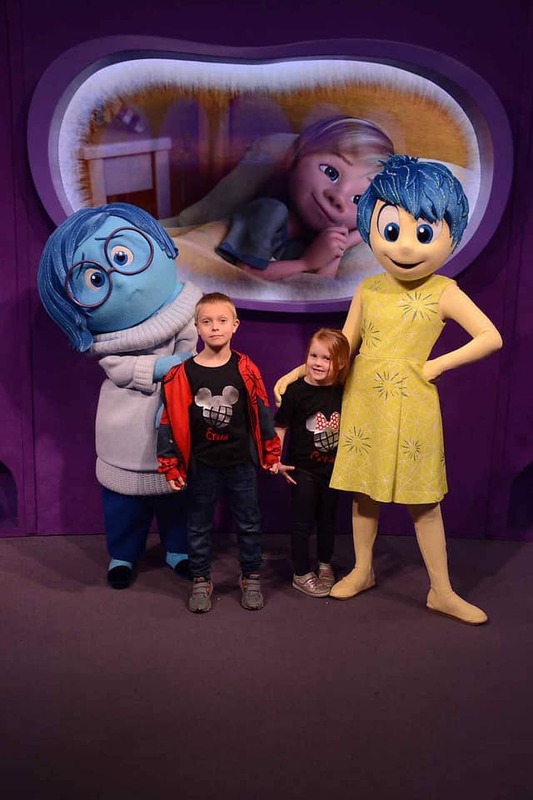 Joy and Sadness from the movie Inside Out, meet guests inside Future World. Photo Credit: Kathy Penney, Debt-Free Traveling Mom. Headquarters, located on the right hand side as you walk into the park past Spaceship Earth (across from the Epcot Character Spot) is where you can meet Joy and Sadness from Disney/Pixar’s Inside Out. The Epcot Character Spot, across from Headquarters and next to Fountain View Starbucks, is where you will find Mickey, Minnie and Goofy. You can book advance dining reservations to eat at Chip ‘n’ Dale’s Harvest Feast at The Garden Grill. The restaurant is located inside The Land in Future World West. Here you can meet Chip, Dale, and on occasion, Mickey Mouse, for breakfast, lunch or dinner. This character meal takes 1 table service credit if you are using the Disney Dining Plan. The World Showcase is separated into eleven (11) pavilions, each representing a different country around the world. You can literally spend hours walking around the World Showcase Lagoon learning about the different countries while sampling foods and drinks from each location. Each of the World Showcase Countries has a special “KIDCOT” area which provides an opportunity for children to interact with natives from the country they are visiting. Please don’t buy into the hype that young children and toddlers won’t enjoy Epcot. This amazing park has so much to offer children of all ages. When visiting the United Kingdom Pavilion there are several things you absolutely must-do. First of all, you have to take the obligatory photo in the red telephone box. Next, stop by Yorkshire County Fish Shop and try some of the best fish and chips this side of the pond. Lastly, make sure you take time to visit with two very important Disney characters. 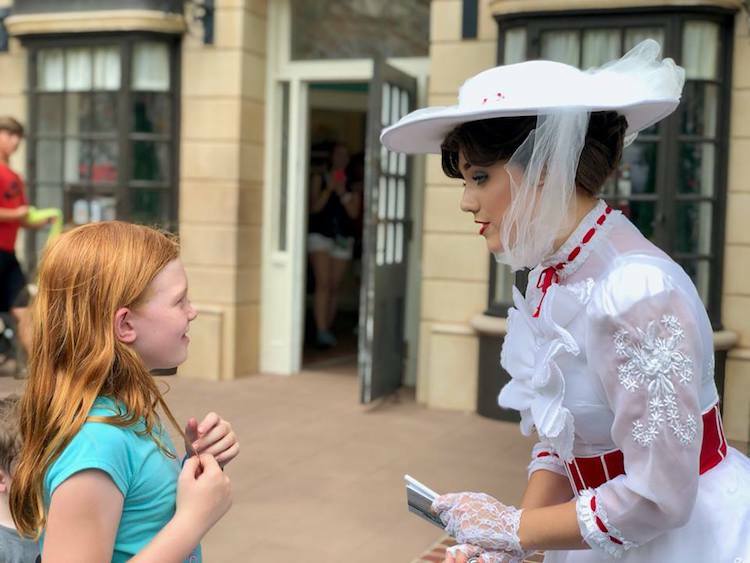 Meeting Mary Poppins is practically perfect in every way! Photo credit: Leslie Harvey, Frequent Flyer Traveling Mom. Alice is located directly across from the Yorkshire County Fish Shop in The Tea Caddy Gardens. On occasion, Mary Poppins will greet guests at the United Kingdom Promenade. 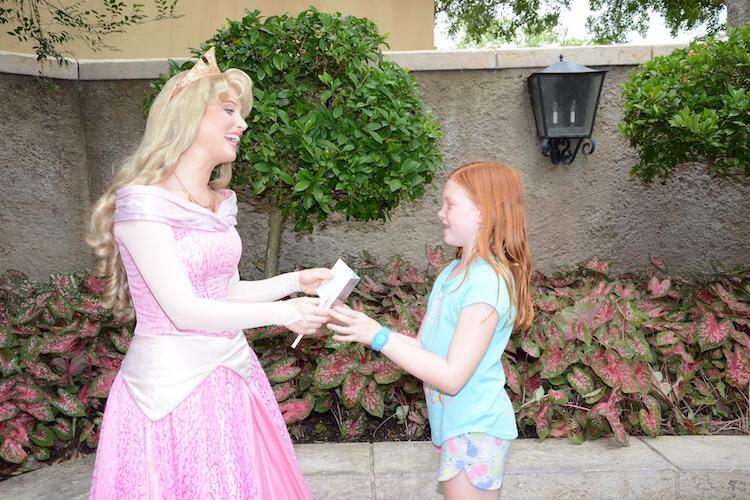 Meeting Princess Aurora in the France Pavilion is a dream come true. Photo Credit: Frequent Flyer TravelingMom, Leslie Harvey. As you are leaving France and making your way to Morocco, you will come to the France Promenade (on your left next to the lagoon) where you can meet Belle. You will be amazed at how many classic Disney characters you can find on your visit to Epcot. Photo Credit: Patrick Murtagh, Lillie Eubanks, and Leslie Harvey, Frequent Flyer TravelingMom. The Morocco Pavilion is home to three incredible restaurants. If you find yourself hungry in Morocco you simply can’t go wrong with any of your choices. I personally recommend Restaurant Marrakesh. While Spice Road Table is a prime viewing spot for Illuminations if you happen to be that way at night. Ultimately you’ll want to make your way towards the back of the pavilion to Lamps of Wonder where Princess Jasmine meets guests. On occasion you may find Aladdin by her side. When visiting the Germany Pavilion make sure you visit the Karamell-Kuche candy store where they sell freshly made caramels, caramel covered fruits and caramel corn. Simply walking into the store is a treat for your nose. Also, take time to view the intricately detailed miniature train and village. This is one of my favorite spots in Epcot. 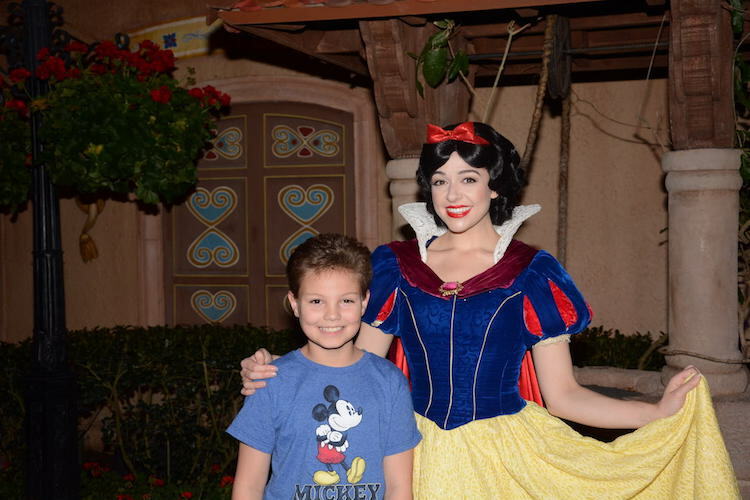 Of course, you will want to stop by the Germany Wishing Well to meet Snow White. 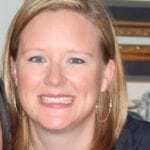 TravelingMom Tip: While there aren’t any characters located in Canada, Japan, The American Adventure, or Italy Pavilions, there are so many amazing things to see and do in each of these locations. The China Pavilion is the only place in all of the Walt Disney World Resort where you can meet Mulan. She meets guests outside the Temple of Heaven, near Reflections of China. While you are visiting the China Pavilion keep an eye out for the fabulously talented acrobats who perform throughout the day. The Norway Pavilion is probably the most popular location in all of the World Showcase. First of all, this is the home to two of the most popular Disney characters, Anna and Elsa from Frozen. The sisters meet guests throughout the day at the Royal Sommerhus. 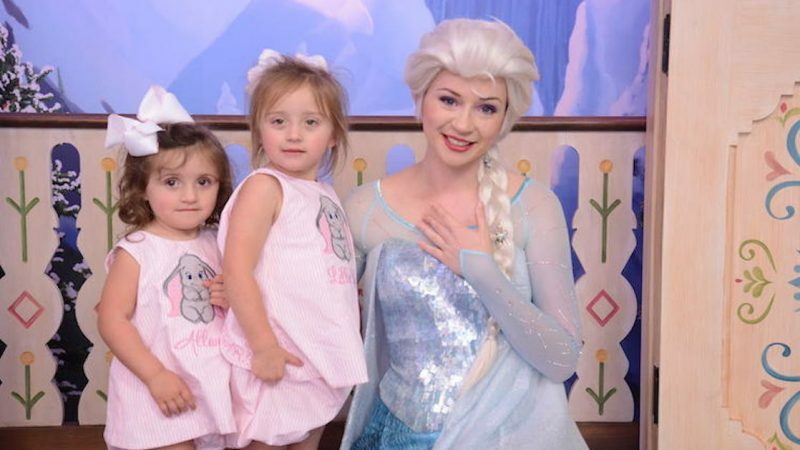 Did you know that this is the ONLY location in all of Walt Disney World where you can meet Anna and Elsa? In addition, the Norway Pavilion is home to Frozen Ever After, one of two rides located within the World Showcase. Lastly, if you are looking to meet a lot of Disney Princesses in one location, book advance dining reservations for breakfast, lunch or dinner at Akershus Royal Banquet Hall in Norway. While Belle is the main attraction at this character dining experience, she has quite a few of her friends there with her. You can expect to meet Cinderella, Ariel, Snow White, and Aurora. This character meal takes 1 table service credit from the Disney Dining Plan. Advance Dining Reservations are highly recommended as this character meal is quite popular. If you’re a fan of the Three Caballeros you’re going to love your time in Mexico. You can ride the Gran Fiesta Tour Starring the Three Caballeros (a boat ride) inside the Mexico Pavilion. 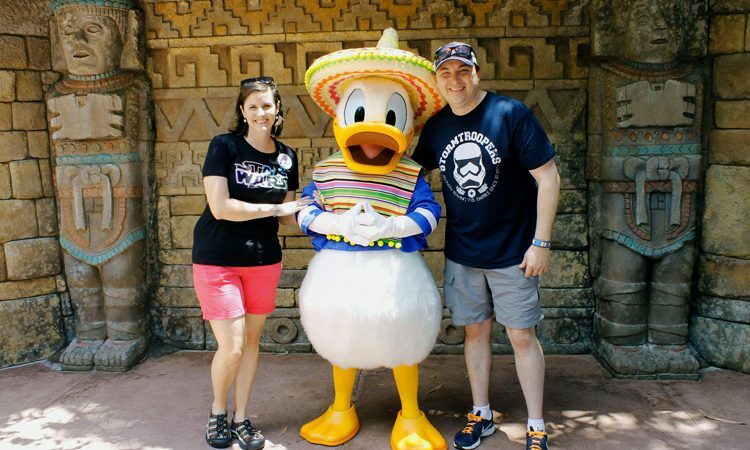 Afterward make sure to visit the Mexico Promenade where you can have your photo taken with Donald Duck. 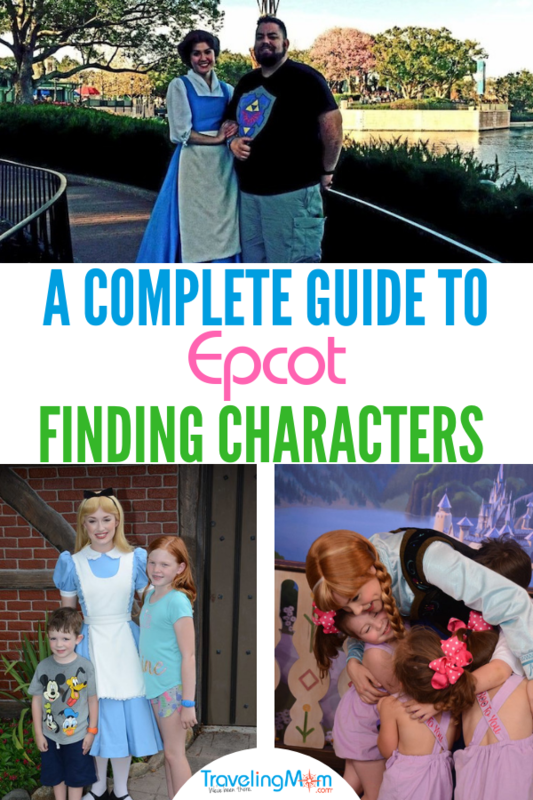 The Disney’s Magic Kingdom Character Guide we put together will help you find every character in the park. Planning to visit Disney’s Hollywood Studios? Use our Ultimate Guide to Finding Characters in Disney’s Hollywood Studios. I am in the process of creating a similar post for Disney’s Animal Kingdom and will update this post as soon as it has published. If you’re interested in additional information on character dining locations outside of Epcot, please read The Complete Guide to Disney Character Dining.